Previous message: [New-bugs-announce] [issue7439] Bug or expected behavior? I cannot	tell. Next message: [New-bugs-announce] [issue7441] Py3.1: Fatal Python Error:	Py_Initialize...unknown	encoding: chcp 65001. I just hit this silly bug in distutils, should be quite easy to fix. Python version, the target directory selection dialog shows a wrong message. 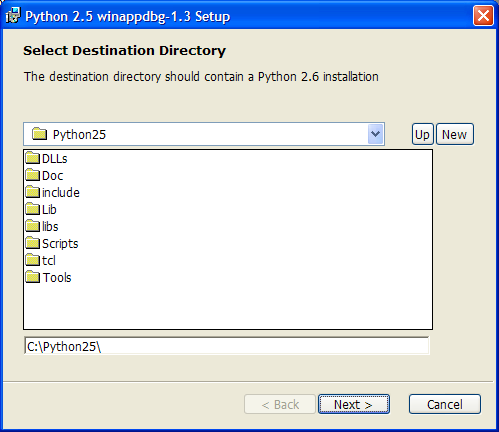 "The destination directory should contain a Python 2.6 installation"
"The destination directory should contain a Python 2.5 installation".